pink sapphire necklace bears 36 round created pink sapphires which are delicately bezel set over 36 inch 14K white gold Designer chain. This sapphire necklace bears 75.ct.tw and it can be worn long or double as per the choice. 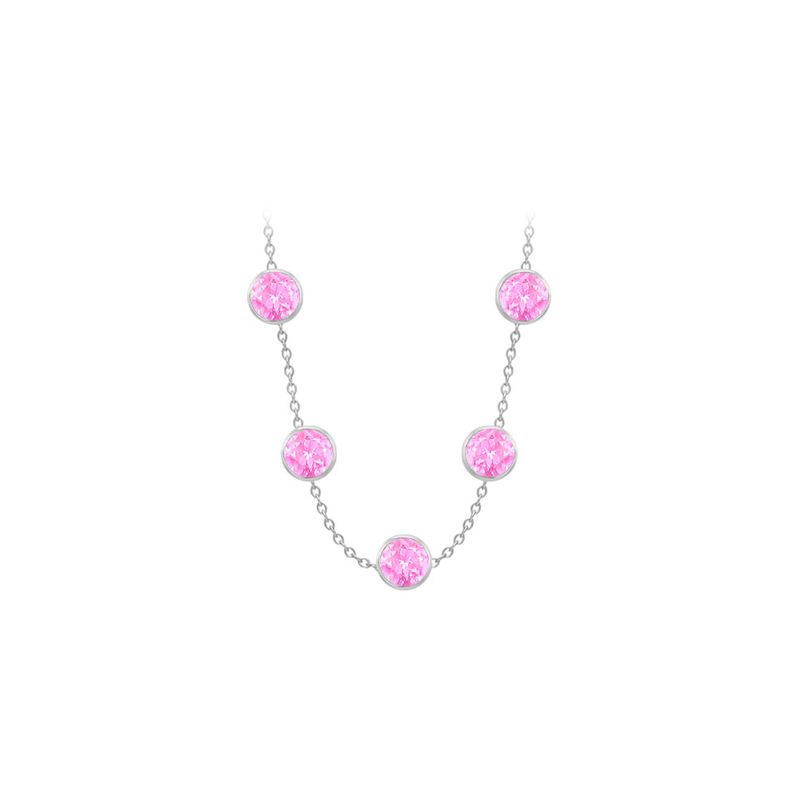 This September birthstone necklace is offered in different gem weights and traditional lengths.